They are found in wet woods and swamps. 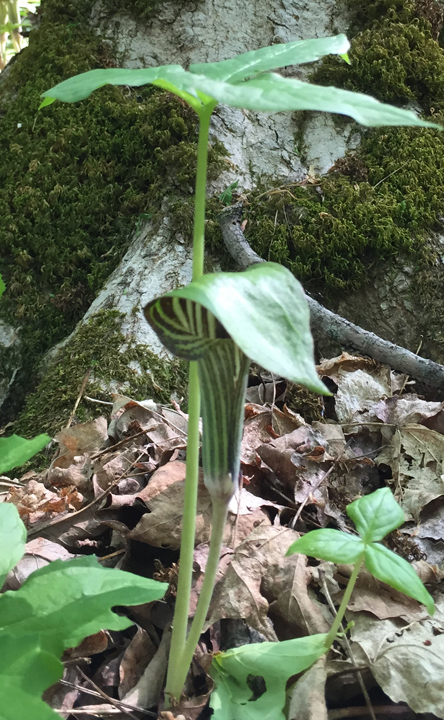 The flower is a small spike inside a green and purple striped cup that has a drooping hood. The spike turns into a cluster of red berries. The leaves have long stems and three large leaflets. They bloom April through June. Also called, Indian turnip. 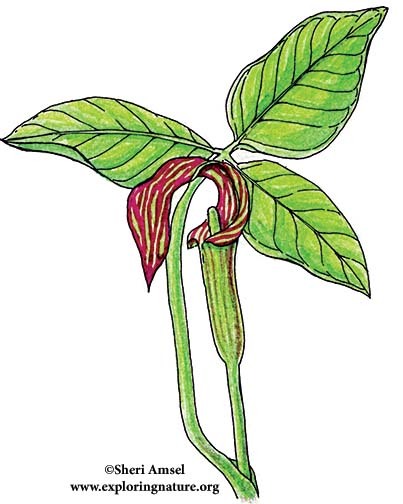 Leaf Type: Cup-shaped with red veins growing around and over the spadix, another leaf with 3 egg-shaped entire (smooth edge) leaflets grows taller than flower.